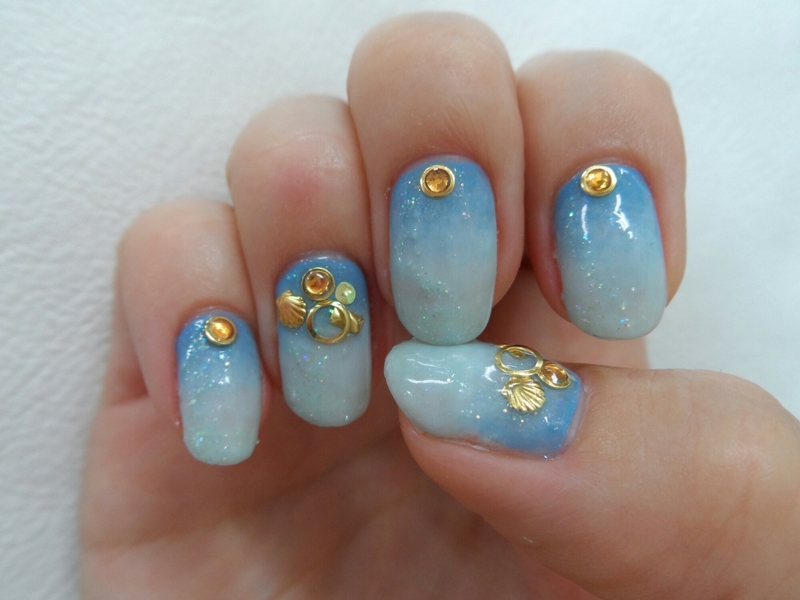 nails roppongi | Nail Matsuri! It was time for me too to change my nails, and since I had a lot of blue tones from IBD Just gel and Gelish I wanted to use them together! Ofc, since I usually can’t just leave things as it is, I mixed the colors a bit, added more yellow in the dark blue and made the color on the free-edge more transparent, and added a bit of white to the middle color. And finished it all of with gold and a orange stone in the contrast color ( almost contrast color..), aaand a bit of glitter! I hope you like it! Nyaaa～ (^o^)v bye bye!